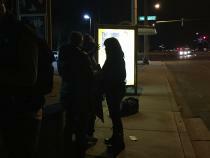 Last January, 700 volunteers participated in the “Point in Time Homeless Street Count,” which is coordinated by the Maricopa Association of Governments (MAG). This year, they tracked people over age 62 — and the results are in. This is the first time MAG has identified people 62 and older in their overall count. They found 209 older adults were living in an unsheltered situation. For perspective, there were more than 2,200 adults between the ages of 25 and 61 also living without shelter. “We don’t have something to compare this to yet, but we hope this establishes a baseline so that moving forward we can keep tracking this number to see if it’s growing or reducing,” said Maggie Wong with MAG. Wong said they decided to count people 62 and older after hearing from emergency shelters and some service providers that more older adults are accessing services. The report found the number of homeless individuals is on the rise. This year, more than 2,600 people were living in unsheltered situations, a 149 percent increase from 2014.